You can now include a link to your YouTube Channel, or a specific YouTube video, as one of your Author Links! That’s all there is to it! Your YouTube link will now be listed along with the other Author Links in your Extended Author Bio. Did it. Thanks for adding this functionality! This is a pretty good idea, thanks. You simply the best! Keep up the good work. Hope to work with you soon. Thanks Chris, that’s why ezine is No.1! If you have an online business then you know you should be video marketing to get the attention of the millions of video viewers who are online every single day. It is widely known by all the top Internet marketing gurus and experts that Video marketing is an essential part of marketing success. Even Frank Kern, Brad Fallon, Mike Filsaime, John Carlton and many others use video marketing as a core part of their product launches and to keep their customers up-to-date with all their latest going’s on. Is youtube video link also allowed in the resource box after an article? 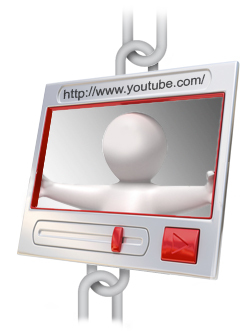 Yes, you can include a YouTube video link in the Resource Box of your article. Please keep in mind, it would be considered a self-serving link and we are only able to accept two self-serving links within your submissions.